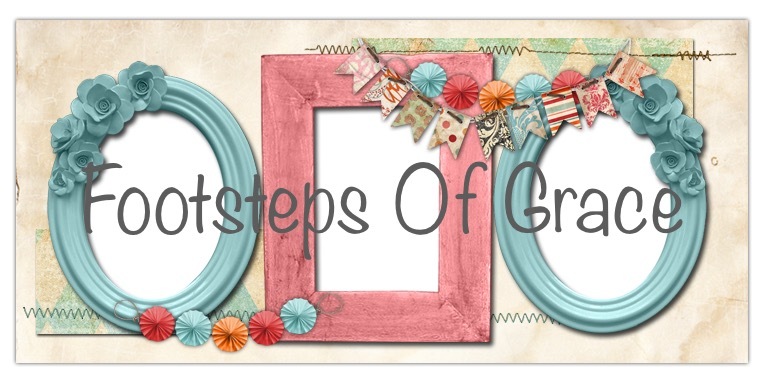 Footsteps of Grace : Where does time go !?! It's has been 23 days today ... I have been thinking and reflecting about this journey all day today ... I see God all over it ! His miracles, protection, and love! There is still so much more for Him to do and I must remain patient knowing He's got this!!!! I was thinking earlier today about a few events leading up to my surgery .... How I reacted and if I wouldn't have woken up how my family would have forever been changed .... I mentioned before how busy our lives are !!! Before all the new normals for now happened .... We get caught up in actions and others opinions and we forget to love those wholeheartedly we love the most!!! I will be intentional with my time and the things I do ...I may even dare say have a schedule for my weekdays ! If I can not slot the time the answer will be no for sure ... That will be okay ...'I know that that may be so much easier typed than put into place when I am no confined ....'I am however a true believer that God lets us experience storms for many reasons ! This storm is no different ! My youngest daughter will turn 16 tomorrow I have reflected back over the years today ... She is such an amazing inspiration to all she meets ! With an incredible story to tell! Even when I look back of the pot holes, curves, dropoffs, and road blocks in the road of her childhood.... I am thankful for the straight smooth roads that we able to heal her her broken heart ! The hours of playing with her dolls, dressing up, playing with friends, and going to church ..... They were intentional and had shaped her into she is !!! Bright , Beautiful inside and out, thrives to live, artistic and beyond talented beautiful young woman .... Some are not aware ... But I am not ashamed ...because Jesus prevailed and has brought healing !!!! But her 14th Birthday wasn't so happy for her ... She was in a very dark place... She had been severely bullied and had not told a sole the extent of it except her diary ....'I'll never forget the morning the Lord allowed me to stumble across her diary laying out in the open ... He spoke to my heart and told me to read it !!!! I'm glad I listened .... My baby was sucicidle, had been starving herself because she had been told she was fat and ugly and no one would ever love her ..... She didn't want to celebrate her Birthday .... I am so glad she let God do the healing of her heart !!! Because she is stronger than any other girl her age I know ! She takes a stand against bullying and eating disorders ! There still has not been any major changes ... I actually have felt really bad today ...'I'm am stepping my steroids down that may be culprit ... But I know that even though time goes so quickly He's teaching me, changing me , and preparing me !!! 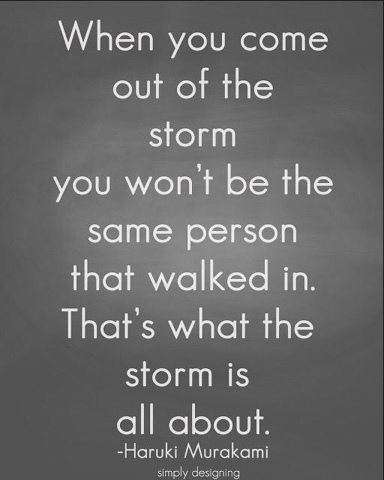 When I walk out of this storm no matter how ! I will be better for Him because of it !!!! Please pray for sissy as well on the eve of her sweet 16 she is sick running a fever with flu like symptoms !!!! I know God has her healing to ! No Mommy wants their baby sick on their Birthday !!!! Thank you for being apart of my journey ! Isaiah 40:8 says this ......8The grass withereth, the flower fadeth: but the word of our God shall stand for ever. That means His promises are true !!! So I will praise Him in the hallway agin today ... I know He's healed me! I'm just waiting for my change !